On 13.04.2019 - 20.04.2019 from Korosten to Kiev will take place boat-replica trip Chronicle of Waterway Korosten - Kiev by rivers Uzh, Pripyat and Dnipro as promo tour of festival Dobrynya Fest. Departure of boat-replica "Dobrynya" and "Fram" on Uzh river is on 13.04.2019 at 12:00, Korosten, Park "Drevlyansky", near bath of Equal-Apostolic Princess Olga. Arrival of boat-replica "Dobrynya" and "Fram" on Dnipro river on 20.04.2019 at 12:00, Kiev, water area of Vyshgorod city. All boat-replica made by medieval counterparts and clothes of participants will also be reconstructed in accordance with the epochs of Х-ХІІІ century. In plans of the organizers is reconstruction of Viking Skuldelev Boat (17.3 m long) dated XI century that was for crew of 30 warriors. An attempt is also made to reconstruct Monoxyle (12.20 m long) that was found in 2015 in Styr River near in Starosillya village of Manevitsky district. In addition there is a reconstruction of Slavic six-meter Dugout Boat - a kind of rehearsal before the construction of a full-scale "Starosillya Monoxyle". The construction of the boat will be carried out by medieval methods using pre-made instruments on base of archaeological samples. 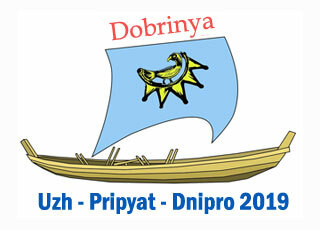 On 15.06 - 16.06.2019 tourists and guests of Korosten could look all these Old Slavic replica boats at the festival Dobrynya Fest 2019 together with Varangian and Slavic Medieval Boats that will bring from Ivano-Frankivsk. This is a truly unique event as there have never been presented together replicas of boats in such quantity and variety - ancient boats with keel amd without, Slavic IX-XIII centuries and medieval Scandinavian boats.